Professional indemnity insurance, also known as professional liability insurance, covers you in the event of a negligence claim. For any businesses providing advice or services, this type of insurance is necessary to protect against the high costs associated with a civil lawsuit. The hard part is determining what limit is best for your needs. While many other types of insurance have standard limits to choose from, professional indemnity insurance has a range of options to suit all types of business professionals. Choosing the right limit is important for ensuring your covered without going overboard. When working with clients, professional indemnity insurance may be a requirement. The client may specify a minimum limit to ensure if something does go wrong, they will be paid accordingly. This is one of the easiest ways to figure out what you need. You should always have at least the minimum required, but going slightly higher won’t hurt. While it’s something you never want to think about with your business, a lawsuit is a possibility. For instance, the wrong advice could cause a personal emotional distress, leading to them losing a job and/or relationship. Good intentions aren’t enough and you could end up in court. Over 100 million cases are filed yearly in US courts. If you do have to deal with a lawsuit, you’re looking at legal counsel, court filing fees and more and this is even if you win. On average, a court case will cost you around $54,000, though higher amounts are common. You’ll then have to consider the cost of damages if you do lose. The average cost on contract cases alone averages out at approximately $35,000, but usually isn’t more than the contract itself. Other negligence suits could cost you much more. 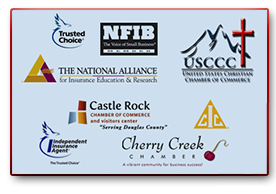 Once you add up all the potential costs, you’ll have a better idea of what limit of professional indemnity insurance you need for your Colorado based business. Some industries require you to be certified and be a member of a professional organization in order to practice. If this is the case, check any membership agreements to see if you have to have a minimum limit to be a member. You can also talk with organizational leaders if you have any questions. They’ll be able to advise you as to what the average limit is for others in your industry. You shouldn’t hesitate to talk to other professionals in your industry. While they might be competitors, they don’t want you to have to deal with a lawsuit and close your business as a result. See what their limits are and why they chose that amount. This gives you valuable insight into how others are buying professional indemnity insurance. It’s even better if you can talk to someone who’s been through a lawsuit themselves. They’ll be able to tell you if their coverage was adequate or not. In some cases, a client may be willing to allow you to pay for someone else to repair any damages without having to go to court. Depending on the damages, this could be costly. Think about how much it would take for you to hire someone else to fix the problem and satisfy the client. It’ll likely be cheaper than a lawsuit, but it’ll still be a large expense that could ruin your business if you’re not covered. You don’t have to decide what’s best for your business all on your own. If you have questions, talk to your insurance agent about coverage. They’ll ask you questions to help you decide the best limit of professional indemnity insurance to keep your business going, even if something does go wrong with a client. Do you have questions about professional indemnity insurance limits for your business? Don’t hesitate to contact Insurance Town & Country today at our Denver office at 303-388-7216 or our Castle Rock office at 303-688-1251. You can also send us a message.